We are throwing a party! Join us in celebrating our 30th year milestone with a gathering of community, artists, art patrons, educators and supporters. Our roots run deep in the arts and art education community, and our commitment to the community has never been stronger! This year also marks the 25th year of our annual Dia de los Muertos exhibition. 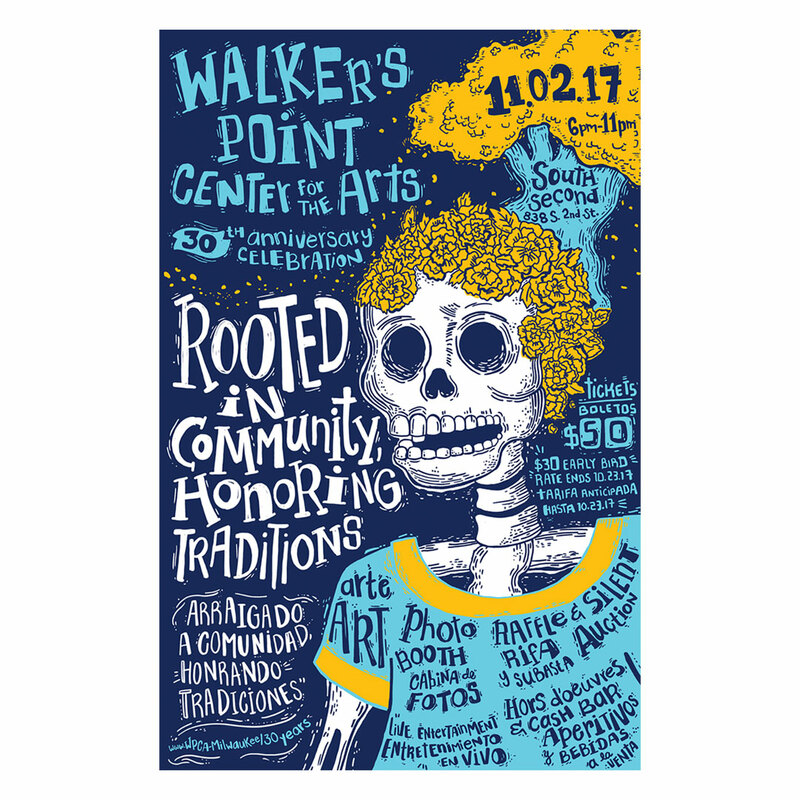 Through this tradition we honor the Mexican and Latinx cultural legacies that continue to shape and strengthen our community of Walker’s Point. In the quarter decade of this tradition, the exhibition has hosted hundreds of ofrendas honoring community leaders, family members, friends, and those who’ve inspired us as artists and educators. We hope you can come celebrate with us! $30 per person, before October 23.